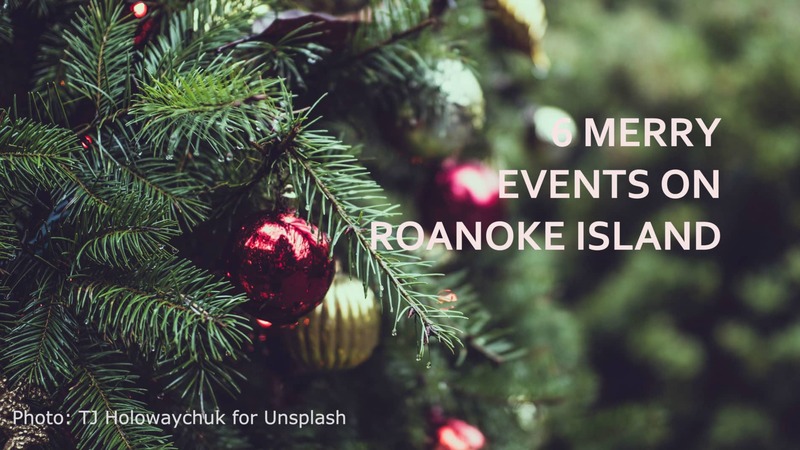 Picturesque Roanoke Island gets even more charming during the holidays, when the quaint towns like Manteo get all decked out and festive activities abound. From parades to home tours to musical performances, ‘tis the season to enjoy the magic of the Outer Banks. Santa Paws is Coming to Town Bring your four-legged friend to White Doe Inn this Saturday for a family portrait with Santa. The setting is festive and photographers will be on site to snap photos for just a $25 donation. 100% of proceeds will benefit Outer Banks SPCA. Don’t have a pet but would love to support a good cause? We’ll have options for you as well! Manteo Preservation Trust is hosting this annual tour featuring several historic island homes in Manteo, as well a new construction using “The Manteo Way of Building.” Tours begin at the Outer Banks Distillery, which will be offering light refreshments and tastings of their famous rum. Now through mid-January hundreds of twinkling lights transform Elizabethan Gardens into an enchanting winter wonderland during Winter Lights, an annual display presented by Southern Bank. Stroll along the glowing paths, enjoy seasonal music, take in at all the beautiful holiday displays, and enjoy the warmth of a crackling fire on the Great lawn. Not to miss: the magnificent decorated trees in the Gatehouse and Reception Hall. It will be “A Christmas to Remember” at this year’s official kick-off to the holiday season. 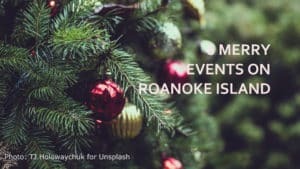 Head downtown to the historic courthouse area on Friday evening for hot chocolate and entertainment followed by the lighting of the official Town of Manteo Christmas tree. Even Santa will be there! Next day, bring the family to enjoy a performance by the Jazzmen, followed by the annual parade. Here’s a sure way to get into the holiday spirit! 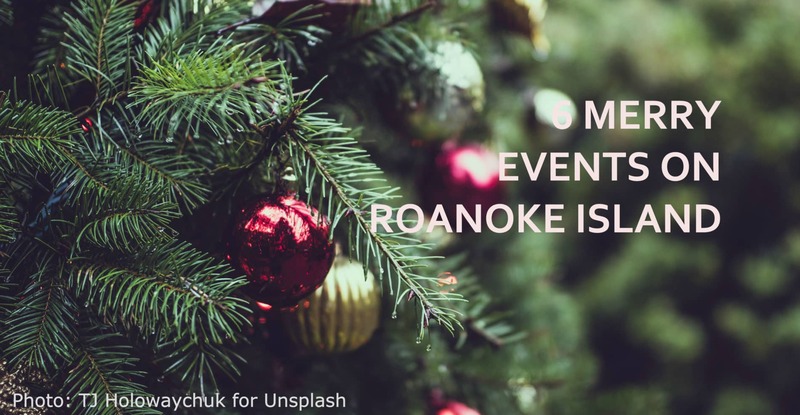 Make your way to Roanoke Island Festival Park on December 1 to hear citizen warrior musicians, members of the United States Army Reserve Band stationed in Concord, N.C. perform jazz, rock, marches, patriotic, concert and holiday music. Young and old will delight in this endearing holiday classic presented by the Outer Banks Centre for Dance on December 1. A special bonus for children: a photo op with Clara, the Prince and the Sugarplum Fairy! For the merriest of holidays, plan a stay at White Doe Inn, where you can luxuriate in guest rooms with private baths, soaking or whirlpool tubs, cozy fireplaces, and amenities designed to pamper you. Call today or book your stay online. Need a perfect stocking stuffer? Purchase a gift certificate for White Doe Inn and make someone very, very happy! Click here to purchase online. This entry was posted in Craft Brewery, Events, Holidays, Outer Banks, Outer Banks B&B, Things to Do and tagged Holidays, North Carolina tourism, Outer Banks, Outer Banks B&B, Seasonal events by admin. Bookmark the permalink.